A six arm, cut glass and gilt brass chandelier. 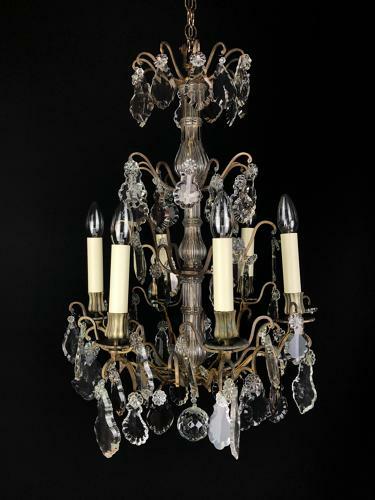 With a central cut glass encased stem, with splays of cut glass plaques and rosettes. French, late 19th century.